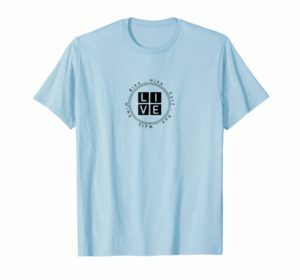 Do you love biking but sometimes find yourself thinking “this is starting to be boring, I am riding around the same paths, or biking around my neighborhood, just to be biking”? For most of us, biking is a way to get a great exercise and gives us a reason to be outside instead of sitting on the couch watching TV. However, just like anything in life, if we don’t mix it up once in while it starts to feel like work more than fun. Well, here are some ways you can change it up a little bit. If you have a dog, take him with you. Dogs love to run anyway, it is good for them, and you would be surprised how much fun biking with you dog could be. There are things to pay attention to, of course, this article has a ton of great advice if you decide to go biking with your dog. This is a great detailed article about dog-friendly bike equipment if you are interested. 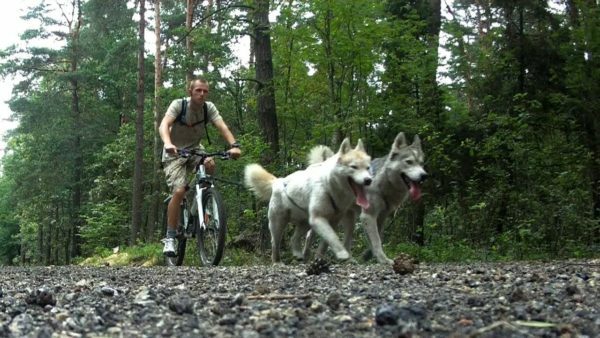 If you want to take your biking with dogs up to another level, you can try bikejoring. I had never heard of this before but when I found out about it while researching for this article, I could not stop reading about it. Bikejoring is simply biking while your dog or dogs pull you. It is the biking version of sled dogs. Don’t worry you don’t have to have 6 dogs to pull you like a sled, and you don’t have to do it in the snow. You can simply use a bike attachment of some sort to tie your dogs to your bike, and just go “bike sledding”. Dogs love to pull you while you are walking them, most of the time it feels like they are walking you instead of the other way around. Why not give them what they want, let them run and pull you “along” for a nice ride. Believe it or not, there are bikejoring races and events all around the world, if you are a traveling type you can try one of those. There are even scooters just for this purpose, and skijoring if you are into skiing. Here is a blog for starters, if you are interested. OR if you rather just want to see what it looks like, you can watch a short video here. Here is a list of equipment you can buy on Amazon for bikejoring, if you are interested. Yes, you read it right. 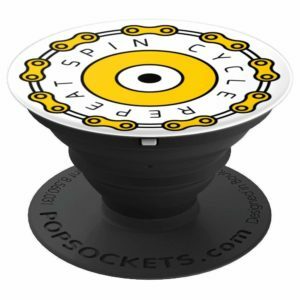 If you have a bunch of buddies who are into biking, what not create a biking scavenger hunt? I don’t have to sell you on how much fun scavenger hunts are. If you have never done one, you should, and why not make it a biking hunt? On a whole different note, if you have never been to an escape room, you should do that too. I have been to one so far and played a bunch of escape room board games (yes, they make those now, so you can play them at home), I cannot recommend them enough, they are super fun. Hey, if you find an escape room close enough for a bike ride, bike to the place, do the escape room and ride back. Sounds like a great Sunday to me. 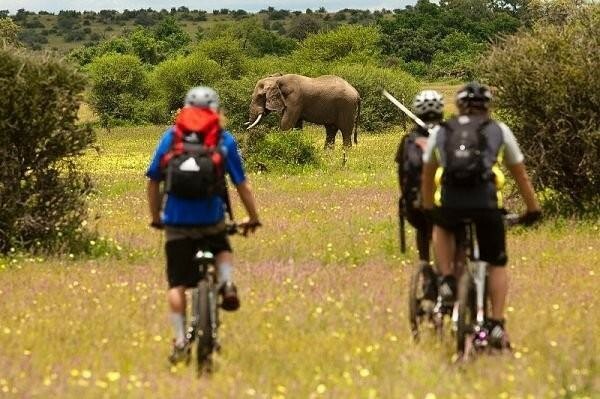 If you love traveling and want to combine biking with your travels, go on a biking safari. You can literally do this all over the world, all over Europe, Africa, or if you are in the US, there are multiple states that you can choose from. This article talks about one in Tanzania, how cool would that be. Or if you want to try Florida, check out this website. I haven’t been to one myself, yet, but sounds amazing. 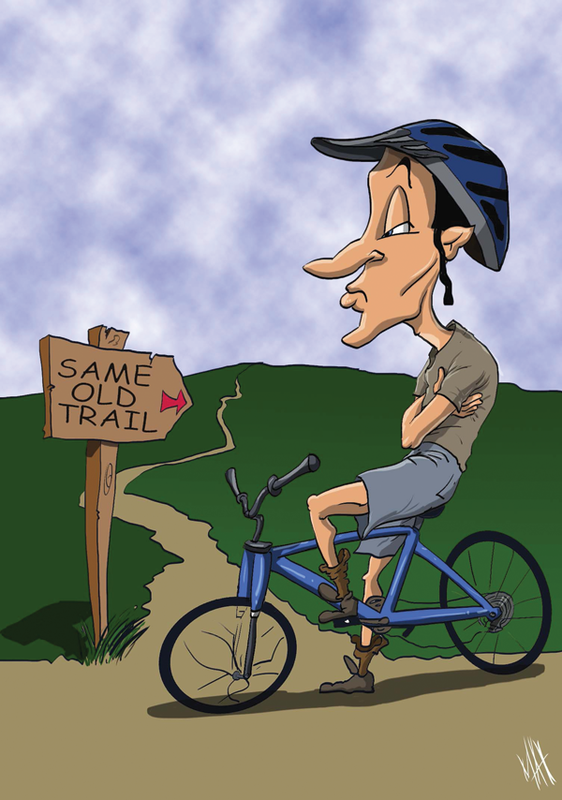 I am sure you can either transport your bikes to the destination with you or rent a bike while you are there. I am not talking about creating a professional mountain biking course here, although if that’s your thing that sounds amazing too. You can go simple, gather a few of your biker friends, come up with some simple but a little challenging fun “course” ideas. If you have a big backyard, a home with a decent amount of land, or can find an empty lot you can use (with the permission of the owner of course), you can let your imagination go wild and have fun. Even if you are not a mountain biker, you can create obstacles than you can ride around or under with a road bike, maybe a speed test, see who can finish the course faster. Like I said, up to your creativity. 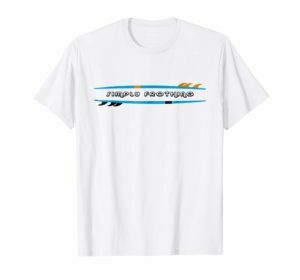 This one is technically not “biking”, and, no I am not talking about riding your bike into a swimming pool at a 100 mph so you can get thousands of views and likes on YouTube or Facebook. 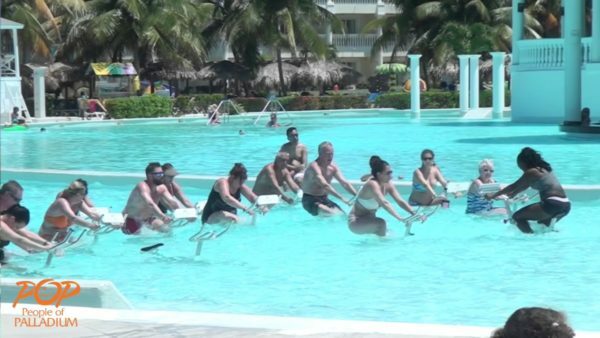 This is actually a very popular, (especially in Europe apparently) spinning class in the pool. Yes, they have special bikes that you can ride in a pool, just like a spinning class. This actually sounds much more appealing to me than a regular spinning class. I used to do those, but after a while, again it felt boring, stuck in a generally small dark room with a whole a lot of sweaty people. At least when you are in the pool, well, you are in the water, it has a totally different feel. Not to mention, you don’t sweat like crazy. It also is a better cardio exercise then just spinning. The water actually increases natural blood flow because you are in the water, and, if you are in an outdoor pool, that is even better. Great for elderly people, because it is a low impact workout. Honestly, if I had my own pool I would bike one of these bikes and do this instead of a treadmill or a regular stationary bike. Here is a short video if you want to see what it looks like. These are a few ideas that came to my mind, trying to make biking more exciting. If you already enjoy your way of biking, that is great, keep doing it, the object is to enjoy life in your own way. But if you are like me, I need to change things up after a while or I get bored and move on to something else, one of these ideas may get you to go out and bike more. Either way, keep living life, living healthy, living in the moment. If you think about it, the moment is all we have. This entry was posted in Biking on July 15, 2018 by ozziewizzard.